Ulta cosmetic bag. 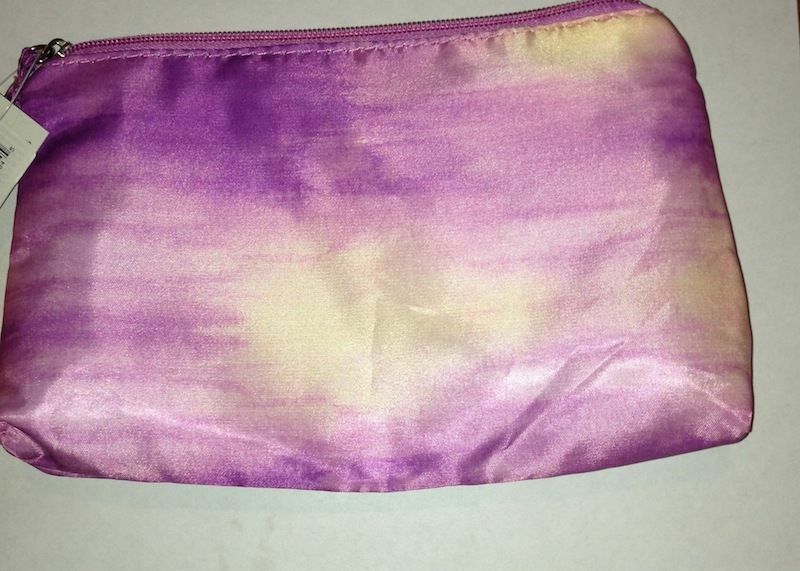 It is a purple Tie Dye print…super cute. The bag has a zipper top closure, and measures about 9" x 6". It is made of a sateen type fabric, and is lined with purple fabric. All items from my store come from a non-smoking home.